Does your foot roll excessively inwards while running or walking? If yes, then overpronation is the issue you are facing. It’s also commonly known as having flat feet. There is always a certain number of people in a population who do this when they run, or exercise. The problem is that overpronation can cause foot, ankle, knee, hip and back pain. You should take steps to protect your body the best that you can. There is some good news! It really isn’t that difficult to fix this problem! You’ll just need to get a pair of shoes that matches your specific situation. In general, you should look for some shoes with adequate arch support. You’ll want what are known as “stability shoes,” which means that they provide extra support and prevent you from rolling your feet inwards. Previously only available in running shoes or crosstrainers, you can know find this stability feature in variety of casual shoes that you might wear to work, or out on the town for example. Proper equipment is key to avoiding injuries, so don’t be afraid to spend some money on a top-quality pair of shoes. Get ready for some expert guidance! Many people have success with minimal shoes for CrossFit if they over-pronate. In some cases, they combine these kinds of shoes with custom orthotics or Superfeet insoles to give them a bit more arch support. These shoes aren’t right for everyone though, so check with a foot specialist before choosing them. The theory is that these kind of shoes help your body replicate more natural movement, which can gradually reduce pain by improving your gait. Will it work for you? Maybe. Learn more about the New Balance Minimus Trainers here. Just be sure to keep in mind that the structure of these shoes is radically different from the ones you’re probably using. Start small and ease into them gradually in order to prevent injuries. 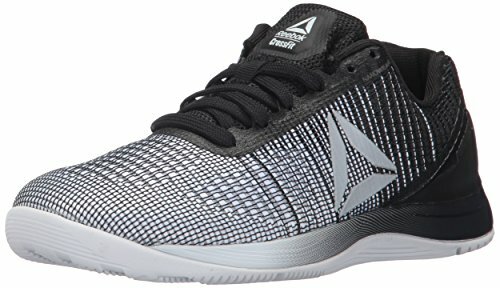 The Reebok Nano 8 is probably the most popular CrossFit shoe in the world. It’s a top-quality cross-trainer that’s ideal for running, jumping, climbing and lifting. In short, everything you’d experience during a CrossFit workout. If you’re an overpronator, you’ll be happy to know that these shoes have a good amount of arch support in them. This is quite impressive for such a flat shoe actually. The CMEVA midsole also provides a nice amount of cushioning, as well as has a nice shape in the toe box. The thing to keep in mind with these shoes is that they’re not running shoes. They’re designed for CrossFit and other kind of gym workouts. So please don’t go running in them because it could lead to some unwanted results (injuries). They can handle some sprints or cardio, but they’re really designed for more versatile workouts. You may also consider pairing them with orthotics (make sure you get fitted properly for them) or an insole that offers more arch support for best results with these shoes. It’s a nice solution for pronation control. Whenever you add these kinds of things to shoes, be sure to get fitted for them by a professional. New Balance really looks into this issue of overpronation very seriously. 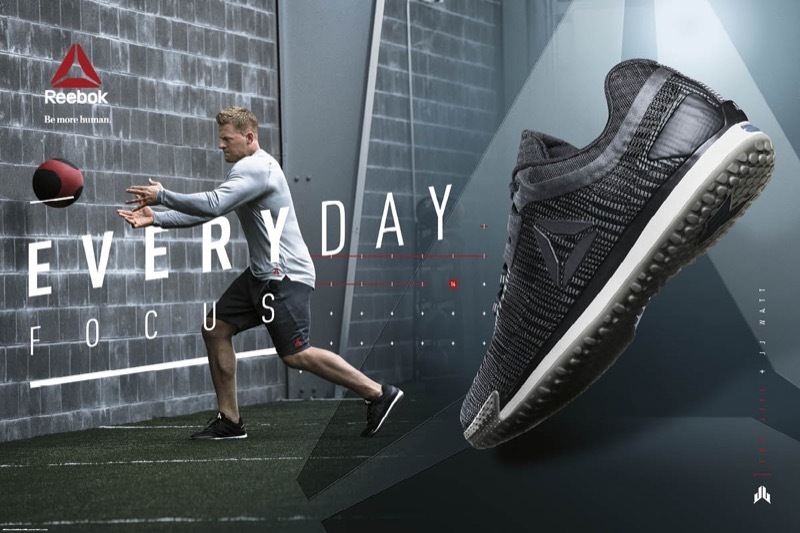 It is quite a versatile offering from New Balance that not only is light and strong, but at the same time provides the necessary support and agility. 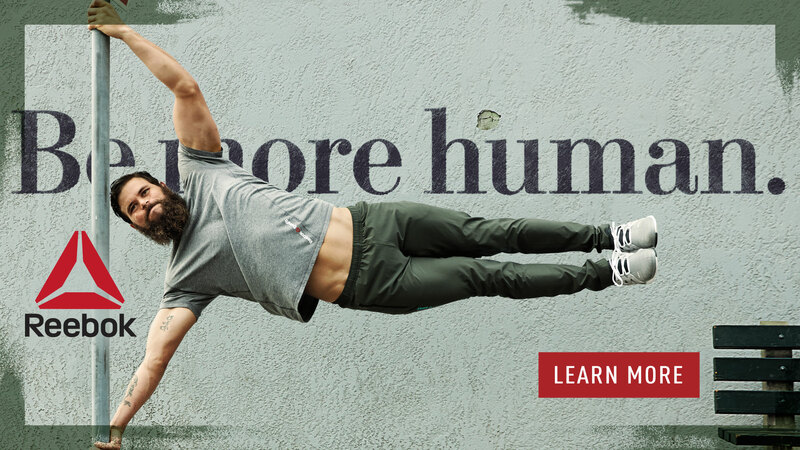 This shoe from New Balance addresses the health issues quite differently. Firstly, they consist of a stable core that reduces unwarranted foot rolls and tends to restore the alignment of your ankle throughout the stride. The superior cushioning of this shoe reduces the impression on the joints and thus minimizes pain. The shoe also delivers a sturdy outward cover that raises stability and helps avert injury. It is also very well ventilated and also generates the flow of energy while you run. If you’re serious about running, then New Balance is the shoe company for you! They are one of the best brands in the business. 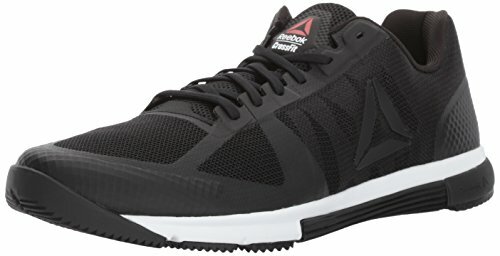 You can check out this top-quality CrossFit shoe from Reebok on Amazon. It’s one of the best women’s cross trainers for overpronation. People who are badly suffering from pronation issues should try this athletic shoe from Brooks. Its’ solid, compact midsole creates great padding for supreme support. Moreover, it is also made of a mesh fabric that provides maximum ventilation. This Brooks shoe is completely dedicated to running and people who try it seem to love it. It will reduce your pronation problem to a great extent. WE LOVE the serious protection and cushioning these shoes offers, along with a bit of a roomier fit than previous versions. The midsole drop is ideal for running (12 mm) and you’ll find that they are ideal for people with a flat to medium arch. If you’re a runner, you’ll also want to consider the Brooks Addiction, a specialized shoe that helps to correct overpronation. 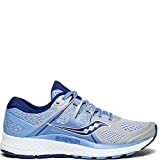 This running shoe is another great product from Saucony that addresses the issue of pronation very seriously. It delivers fantastic stability with superior cushioning for absorbing excess impact on the foot while running. This popular running shoe from Saucony is well aerated as well as moisture wicking. It is durable and long-lasting. In short, it offers some excellent value for the money. None, it’s an excellent shoe! This is one of the most groundbreaking presentations from Asics that features a mesh and synthetic based upper. It’s both form-fitting as well as breathable. These two things in combination are the ultimate for keeping your feet cool, comfortable and happy during those runs, or serious CrossFit workouts. Thus severe overpronators can use these shoes from Asics to reduce their discomfort while running. There is a good amount of arch support that will keep your feet, knees, and hips aligned to prevent injury from overpronation. Moreover it also provides ample, duomax support and superior comfort to the wearer. It’s an impressive shoe at a reasonable price. It has some excellent reviews over on Amazon and most people that try out the Gel Kayano seem to love it. The gel cushioning system offers serious support and stability. This top-quality running shoe from New Balance also addresses the overpronation issue with great seriousness. The cushioning here is divided into three parts: a low profile one at the heels, a medium padding in the midsole, and a super responsive one at the forefoot that is required the most when you are running. 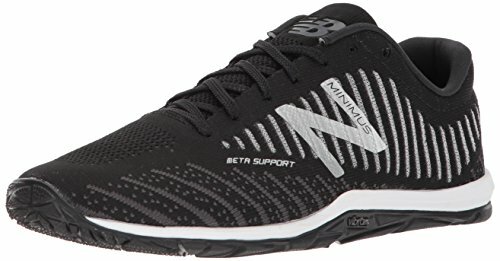 Check out this popular CrossFit shoe from New Balance on Amazon. It’s one of the most popular training shoes for flat feet. This shoe from Adidas is designed for moderate overpronators and prevents excessive inward rolling. It also comes with cushioning that is quite responsive and durable. 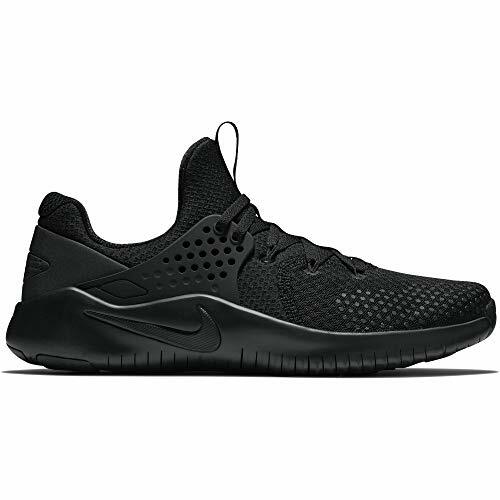 It makes an excellent choice for those looking for a reasonably priced, high-performance athletic sneaker. Long lasting and doesn’t break down easily. These are in short some of the best shoes that address the problem of overpronation and ensure that you can continue with your workout and runs without any discomfort or pain. You can choose any one from the above suiting your needs. Don’t let overpronation hold you back anymore from achieving your targets on the road or in the gym during a serious CrossFit workout. What Do People Think about the Adidas Supernova Series? If you’re looking for a running shoe that offers some serious stability and support, then you’ll want to consider the GTS 19 from Brooks. 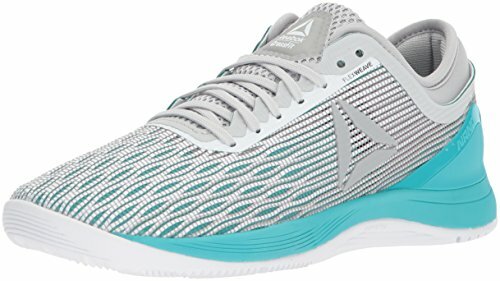 The shoe features a number of advanced technologies, including a Flextra rubber outsole, BioMoGo DNA, diagonal rollbar in the midsole, and comfortable mesh upper. It also comes in a variety of stylish colors and designs. Where to Buy The Best Shoes for Overpronation? Last on our list of the best shoe for overpronation is the Saucony Omni ISO. They’re designed for people with moderate to severe over pronation. Those long runs when your feet and body would normally ache? Try these ones out and you’ll notice the difference because these shoes will keep your body in alignment. If you’re a runner looking for one of our top picks, read more about the Omni ISO. Compared to the Inspire 14, there’s a bit more plush heel counter which can make them a bit more responsive as you run. There’s also slightly different mesh upper for better hold and to keep your feet more cushioned. 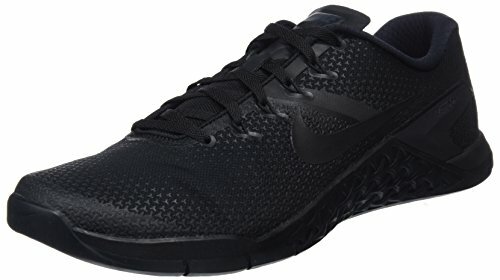 Although designed for running, many people use this shoe for gym workouts, walks around the neighborhood, sports with the kids and swear by them! They’re durable, well-made, have a ton of support and cushioning and most people find that they just work well. What Criteria Did You Use for Evaluation? That’s an excellent question and we’re happy that you asked! We looked at a number of things to help you decide which is the best pair of training shoes for overpronation. Chances are, you’re going to do a huge variety of activities in your cross-trainers. Our guess? Your feet are probably going to get pretty sweaty doing most of them. It’s for this reason that we love shoes with a breathable mesh upper to allow for maximum air flow. After all, the last thing you want during a serious workout is sweaty, stinky feet! You’re also probably going to be doing a variety of activities over different kinds of terrain. A run down the street, soccer with your kids, a Zumba class, or a walk up a mountain. You need a cross-trainer that stands up to the test on all kinds of terrain. Protection for your feet, but also durability so you can save yourself some money! Athletic shoes come in two extremes—the running shoes which are very flexible, and then the lifting shoes which are very stiff. Cross-training shoes should fall somewhere in the middle. Think about what kind of things you’ll be doing in your shoes, and try to buy a pair that falls closer to one side than the other. A shoe that has some stability, but isn’t too stiff can offer you the widest range of activity options. Along with flexibility, heel-to-toe differential is what makes sports shoes different. Runners use shoes with the highest drop in order to maximize potential energy release. Lifters use almost no drop because they want more stability. A heel to toe drop of around 5 mm can be a nice fit for a cross-training shoe. Is this important to you in athletic footwear? It is to some, but not others! All things considered, it’s far more important to get a shoe that fits you well than to worry about the style. The second you put it on, it should feel like your feet have found a nice home for them! If they’re not comfortable now, they’re not going to be more comfortable later, so you should most certainly try another pair. If you’re found a particular brand of shoe has worked very well for you in the past, use that as your starting point. Each company has a slightly different mold that they make their shoes from, so it makes sense that one brand may work while another may not. That said, try on other brands of shoes every once in while. Who knows, you may just find something that is even more comfortable. A good cross-trainer shoe is well over $100. If you’re going to be spending that much money on footwear, you’ll obviously want some that is durable and made with top-quality material. In addition to saving you the hassle of replacing them sooner than you should, and the money, your feet will also be protected better. Serious cushioning and shock absorption equals less injuries and time away from working out. Haptic print at the toe for durability. 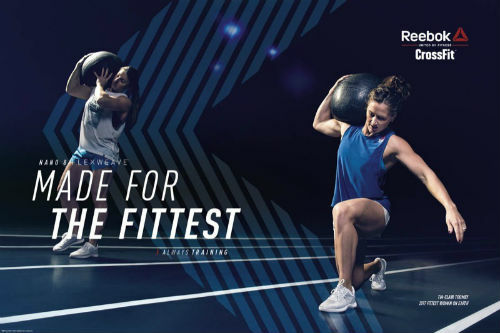 Now CrossFit is a global fitness program that involves strength and conditioning of the body, and the training program includes everything from a casual jog or sprint to high-intensity weightlifting or squatting. If you are into this and you are an overpronator, then you have to be extra careful with your shoes. Otherwise you will end up hurting yourself. One piece of advice for overpronators is that they should try to avoid neutral and minimal shoes. They do not deliver ample support to the foot to correct the inward rolling and also don’t protect it from getting hurt. You’ll definitely want something softer on the bottom to give you some cushioning. Instead, look out for running shoes or cross-trainers that offer stability, strength, and motion control together with the provision of ample support. When you try them on, you should feel some support in your arches. 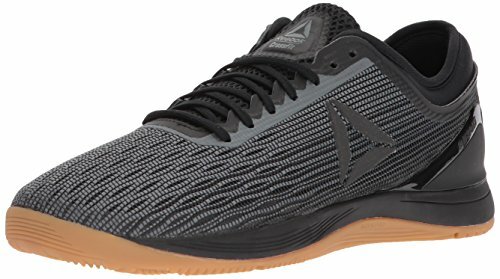 Are these Shoes Good For Lifting? If you’re into weightlifting, you’ll probably want to avoid these cross-trainers for overpronation. They just don’t offer the kind of support you’re going to want when lifting heavy weights. Instead, you’ll want a shoe with a more minimal heel to toe drop, a strap across the top, and a more secure heel box. You can check out this Ultimate Guide to Weightlifting Shoes for some of our top recommendations. What is Overpronation, and How Do I know if I Have It? Overpronation is when the foot collapses inward, or downward. It’s also commonly known as flat feet. It’s most often caused by genetics. Some people are born with high arches, while some are born with lower arches. It’s also caused by carrying excessive weight, such as being overweight, or multiple pregnancies. Another cause is exercise where your foot strikes the ground for a long period of time, such as running or long-distance backpacking. How do you know if you have flat feet? You can do this test. Walk on the beach with no shoes, on a pool deck with wet feet. Take a look at your footprint. Can you only see your heel and pad at the front of your foot? You have a high arch. If you can see these things, plus a bit of the middle of your foot, you have an average arch height. You have flat feet if your footprint looks like a stretched out pancake. What are the Complications from Overpronation/Flat Feet? Many people who overpronate experience no problems from this. They can live for years, or even an entire lifetime without any pain. Some of the treatment options include wearing supportive shoes (avoid high heels and flip flops), wearing insoles or orthotics, as well as strengthening the muscles in this area. What about Insoles or Orthotics for Overpronation? Check with your doctor, physiotherapist or podiatrist to see if custom-made orthotics are right for you. However, if you don’t have extended health benefits, then you may choose to try an over-the-counter alternative. 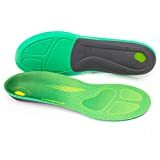 Superfeet are one of the most popular options for insoles. Long-distance hikers, and many other athletes with flat feet swear by them. You can try them out for yourself and see if they reduce your foot, ankle and leg pain. The way they work is that you can buy just about any top-quality cross- training, or CrossFit shoe. Then, take out the insole and insert Superfeet. You can trim the insole to size if necessary (they come a bit long). Most people find them a little bit uncomfortable at first, but love them after a few uses. This is especially the case when they no longer have so much pain! Have your Say! 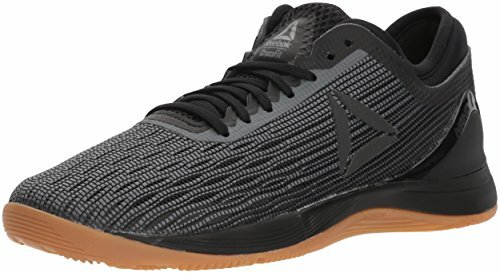 What is the Best Workout Shoe for Overpronators? Leave a comment below and let us know your favourite brand and model of shoe if you overpronate. I’m super confused. Absolutely none of the shoes listed in this article are safe or appropriate for cross training or crossfit. Cross training and crossfit imply working out in the gym doing things other than just running. 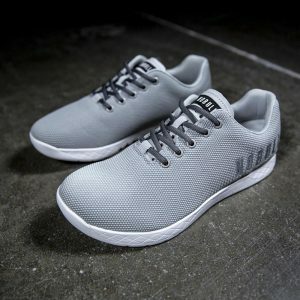 These shoes might help mitigate hyper pronation when walking or running but will increase the risk of ankle and knee injuries and decrease force output for almost all other gym and crossfit exercises. If the author of this article actually does crossfit, I’m baffled that she would recommend these shoes for doing those types of workouts. 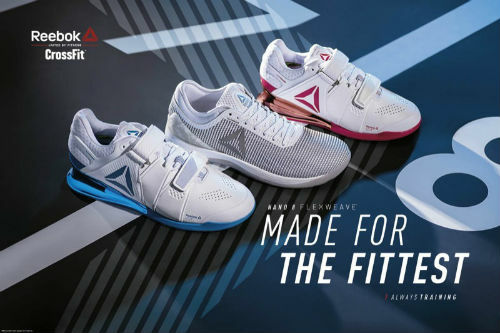 Terrible shoes for deadlifting, squatting, lunging, box jumps, thrusters, wall balls and many other common crossfit exercises. If you’re recommending these shoes for running, why not just write an article about running shoes. 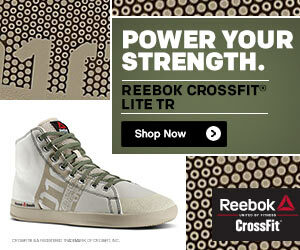 Calling them cross training or crossfit shoes is very misleading. That’s why when you go to a shoe store, cross training shoes are in a completely different section than running shoes.